Initial pressing of the 7" has a push-out centre, as requested by Morrissey. Later pressings, or perhaps pressings for a foreign market such as Ireland, have a solid centre. This is almost identical to the original Rough Trade release. The sleeve is still rigid, but the image on the front is the slightly different one originally used on the 12" format. The catalogue number on the back of it was changed to RHN186 and a barcode was added. The record has a solid centre. Unlike the original pressing, the labels are all beige, they don't have the white border around them. The catalogue number was also changed to RHN186 on the labels, and the Rough Trade logo was removed. Publishers on the right side are now Universal Music, etc. The 12" features slightly alternate artwork to the 7" format (view left). Just like the latter, its labels are beige with a white border. The text on them is dark brown and its typeset is the classic Rough Trade one. The inner sleeve is glossy and the same beige as the labels. Some copies have a sticker on the front advertising the inclusion of live tracks. Although the main means of promotion for this single was 'white label' 12"s, two different promos on 7" format have been reported. These presumably served more limited promotional purposes than the white label 12"s. Both are of the 'white label' type, but neither has strictly white labels. This version was pressed by MPO in France and therefore bears Mayking labels. A title and credits sticker stamped A in a circle is stuck to the a-side's upper half, while the bottom half is stamped 'A' and '3 MAI 1985' in blue ink and has 'RT 186' in handwriting. The b-side label has a title sticker in the upper half and is stamped with B in a circle. The bottom half is stamped 'B' in blue ink. For the pleasure of completists, variations in these stickers have been spotted. These variations are usually in layout, never in content, but in some cases "Rough Trade Records" on the a-side sticker appears all in uppercase letters like the rest of the text, but in at least one case those words appear all in lowercase. The record has been seen in a plain black record bag or slipped inside a plain card sleeve with an 'Appearing' promo bill glued to its front. Many of these bills have personal words from Scott Piering handwritten in red ink at the top. Copies with Mayking labels but without a sticker on them and not date-stamped are true test pressings (see below). The other variation was pressed in England and allegedly pre-dates the Mayking version (it was probably pressed on 23 April just like the beige label test pressing described below). It has light beige labels with handwritten release information on them. The sides are stamped 'A' and 'B' in circles. The record is slipped inside a black die-cut sleeve with a gold Scott Piering contact sticker on it. This version may also have come with a Scott Piering press release. The main promotional tool for this single in the UK was the 'white label' 12". In this particular case, the promos actually had light pink labels. 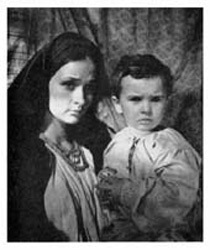 Some copies were sent out in plain white inner sleeve-type bags, but others were distributed in a scrapped early version of the picture sleeve. 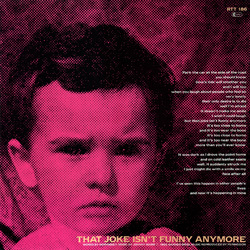 This alternate artwork has the name of the band in pink on the front. The back is peach coloured instead of the usual pink/red and has a slightly different text layout in which the title appears at the top. Subway size poster. View here. The earlier of two known 7" test pressings bears light beige labels just like one of the two promo variations described above. However, unlike the promos, this test pressing usually has the matrix number "RT 186A-B-1U" written in blue pen and the date "23 APR 85" stamped in black on the b-side label (a-side left untouched). It comes in a black die-cut record bag. In some if not all cases the single's track listing has been handwritten on the record bag. The existence of test pressings from the Mayking pressing plant has also been reported. The number "SP 20021", the name of the band, the title and the side letter handwritten on the generic Mayking a-side label. The b-side also features a Mayking label but nothing relevant to the content was written on it (except perhaps 'OK'). The sleeve is expected to be a white or black die-cut record bag (confirmation needed). Copies that have a release information sticker on the labels and are date-stamped in blue ink are promos and are described higher up on this page. Unlike the promo 12", the test pressing has plain white labels and is slipped in a white die-cut sleeve. Some copies have the catalogue number and perhaps sometimes additional release information handwritten on the label. The white label test pressing of this item has so far only been sold as a set with the test pressings of the other 7"s included in the "Singles Box". It is therefore described in the latter item's collectors appendix. The 10" metal-based lacquer reference acetate for the 2008 7" reissue listed above comes housed in a 12" grey Heathmans Mastering sleeve with printed custom studio labels on the front (white with Heathmans Mastering logo on top, band name, title, catalogue numbers and '21/9/2008'). The matrix number is handwritten in the centre of the disc. Printer's proof of very early artwork, with proofing, colour bar & registration marks. The name of the band on the front is red and in a flatter font. The back is beige and shows in the lower half a black and white image of a chicken. Above it is "That Joke Isn't Funny Anymore" in red. The catalogue number at the very top is also red. No lyrics are found on this version. The front is just like the final version with the exception of the band name which is fuschia instead of beige. The back is identical to the final version, but there are fewer credits under the title at the bottom. The front is just like the final version, but the back is light pink instead of fuschia. The lyrics and credits on the back are white, and the title and catalogue number are beige, just like on the definitive version. However, there are fewer credits under the title at the bottom. The front is just like the final version with the exception of the band name which is fuschia instead of beige. The back is light pink instead of fuschia. The lyrics and credits on the back are white, and title and catalogue number are beige, just like on the definitive version. However, there are fewer credits under the title at the bottom. The front and back are identical to the final version. This is an early version of 12" picture sleeve, printed but sold to collector(s) unfolded. The front is just like the final version with the exception of the band name which is fuschia instead of beige. The back is light pink instead of fuschia. 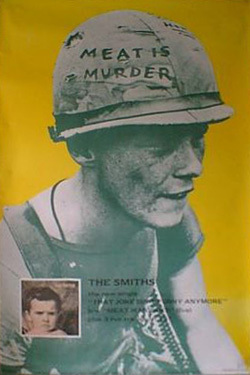 The text there is in the same colours as on the final version, lyrics and credits in white, title and catalogue number in beige, but the song title is positioned at the top instead of the bottom. Some copies of the 12" promo described above were mailed out in these rejected sleeves. What's intriguing about this item is that is has the flaps that go from the front artwork to the back, just like on proofs of 7" sleeves. However it is the size of a 12" sleeve and the catalogue number on the back is that of the 12". The front is similar to the final 12" version, but the name of the band is positioned a bit lower. The back is light pink instead of fuschia. The lyrics and credits on the back are white, and title and catalogue number are beige, just like on the definitive version. However, there are fewer credits under the title at the bottom. Card printer's proof of the front artwork without the band name on front. With registration & proofing bars. This must have served at a very early stage of the artwork's design. 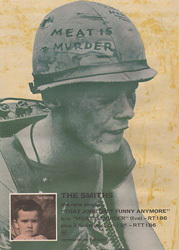 The sleeve of the Australian 7" is made of thick card, just like the British one, and features the same front artwork. It differs on the back by the catalogue number and extra 'shattered' Rough Trade logo in the top right corner, and additional credits at the bottom. The record has a solid centre and its labels are the same peach colour as the UK labels. The typeset on them is the classic Rough Trade one. The Australian 12" sleeve also differs from its British counterpart by a corrected catalogue number and additional credits and logo on the back. The front of the sleeve often has a quite big, black round sticker with track listing, including typo "Stretch Out And Live". Labels are beige like those of the UK 12", but they don't have the white border. The text layout on them is the classic Rough Trade UK one. The inner sleeve is the usual round bottom anti-static film type. The promo 7" features black and white man-silhouette labels with promo warning like all Australian Smiths promo 7"s of that era. Some copies are slipped inside a stock sleeve, others were distributed inside a generic CBS orange striped die-cut sleeve. It has been rumoured that some copies were sent out with a green poster. The promo 12" has the expected black and white bowler hat man labels with promo warning. It is slipped inside a stock picture sleeve that has been stamped with a promo warning in gold on the back. 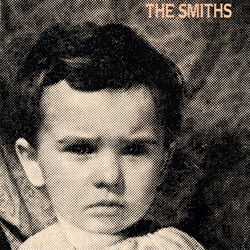 This is one of the few Smiths singles which Sire USA declined to release but that still got a Canadian release. Because of this, it was not released by Sire but by the mother label WEA. There are two different versions of the Canadian 7". Both have peach coloured labels with a white border which at first glance could be mistaken for British ones because they have the exact same text layout and catalog number. One version has a solid centre while the other has a large hole at its centre. Neither was ever sold inside a picture sleeve. Like most singles released in Canada by minor artists, they are found inside a generic WEA Canada die-cut record bag. The large hole version seems to be the scarcest of the two. It has been speculated that it was used for promotion while the other variation was sold, although there is absolutely no evidence to that effect. 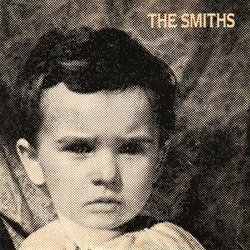 Actually, for all other Smiths 7" released in Canada, it is the other way around: the promos have a solid centre while the stock 7"s have a large hole centre. The 12" format could also be mistaken for a British one at first glance. It differs from its British counterpart only by minor credit changes on the back of the sleeve and on the labels, and by the inner sleeve which is a transparent anti-static one. A few copies differ also by the fact that the colour of the labels have come out very close to orange instead of the intended peach/beige. As is custom in Canada, promotional 12"s are commercial ones stamped with English and French promo warnings in gold ink on the back of the sleeve. Promos have been reported for both colour variations reported for the labels of the stock 12". Collectors of alternate artwork love French 12"s because they often differ from their counterparts from other countries. 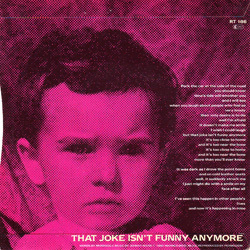 In the case of the "That Joke Isn't Funny Anymore" 12", the front of the sleeve shows the band's name in bright fuschia pink. The back is pink instead of the usual reddish tint. It has a barcode and the catalogue number in the upper right corner and the Virgin and Rough Trade logos in the lower left corner. Instead of the usual green and red Virgin labels, this edition has light beige ones with the text in the classic Rough Trade typeset. Stock copies of the 12" were stamped with a promo warning so they could be used for promotion of the single. The stamp states "Disque gratuit interdit a la vente", the words forming an embossed circle in a corner of the sleeve. 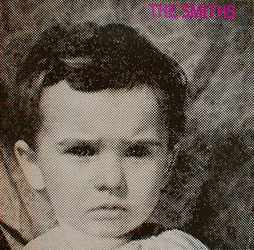 The sleeves of both formats released in New Zealand are identical to the Australian ones, which means that they differ from the British sleeves by only minor catalogue number and credits corrections at the back. The 7" sleeve is made of rigid card. However, unlike in Australia, the labels are the generic green and red CBS ones. Neither of these items have any credit on them stating that they are New Zealand pressings, but singles with RTANZ numbers but no "Made In Australia" credits on the labels were made for the New Zealand market. Also, 7" singles in New Zealand have anti-slip serrations while their Australian counterparts don't. Promos for both formats are stock copies with a "Demonstration Record" sticker on the side B label. This item is quite rare. The front of the sleeve is the usual one. The back features additional credits and all the text is printed in white (not only the lyrics). The inner sleeve is an anti-static one. The labels are red with black text. This is the rarest of the Spanish 12"s. Information is needed.